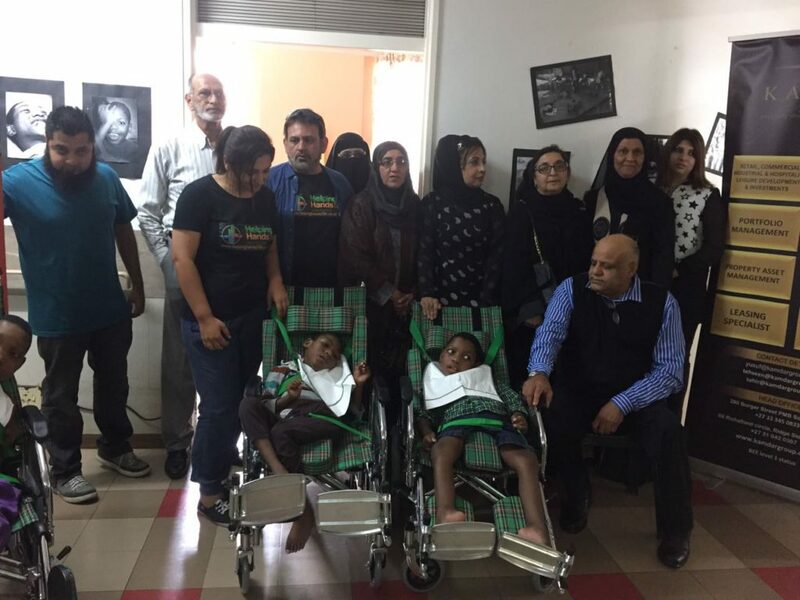 WMO KZN, Kamdar Group & Jamatun Nisa sponsored wheelchairs to children who suffer from Cerebral palsy at the Natal Settlers in Umbilical. Tucked away in the grounds of the Natal Settler’s Memorial Homes, is a cottage/hospital that houses 41 children. 41 children who have been abandoned to the mercy of a system that fails to meet their needs. Although they are being given the greatest of care by the dedicated and caring staff, the home is sadly lacking in funds to attend to the special needs of the children. When Helping Hands 786 visited the home, they were saddened by the drab and colorless surroundings of the children, who spent almost all of their time, lying in bed, looking at these walls. What started off as a simple project to revamp the rooms of the home, has expanded into a massive project of securing special wheelchairs for the children, in order for them to become mobile. 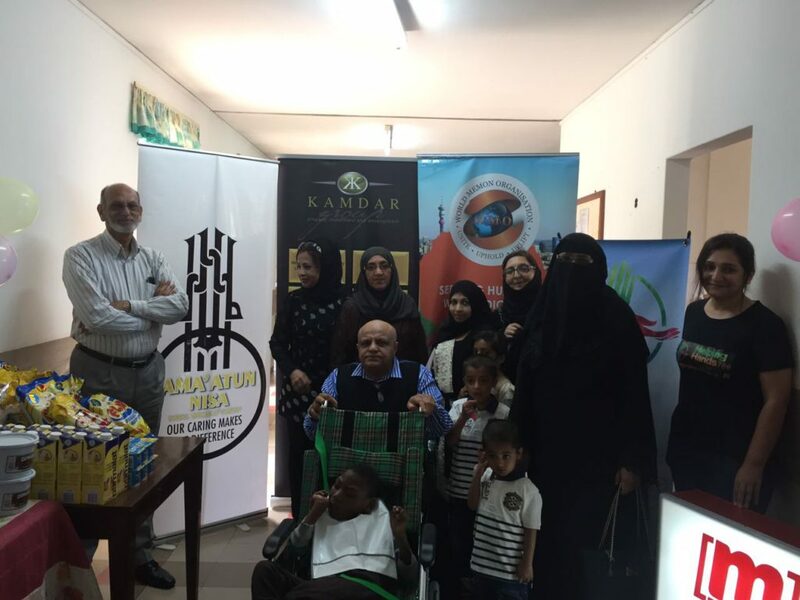 That’s when the Mr Yusuf Kamdar, with the help of the Kamdar Group, the World Memon Organization and the Jama’atun Nisa Group stepped in. 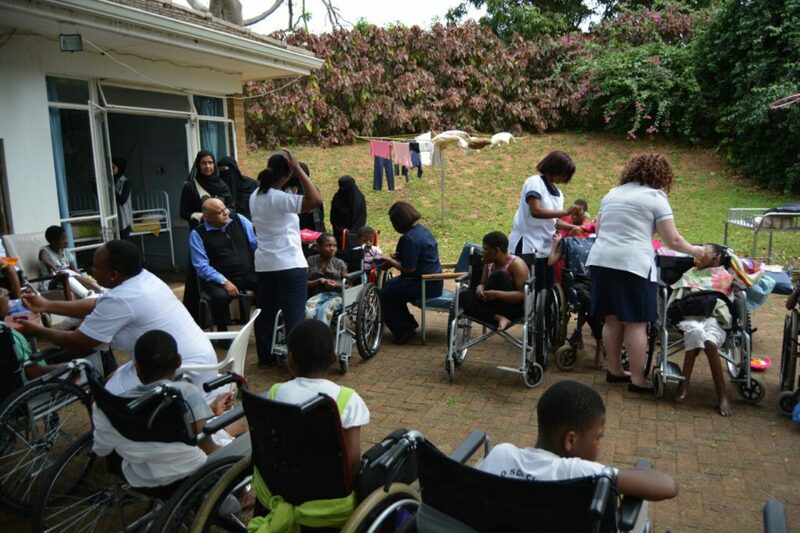 30 specialized wheelchairs, costing approximately R210 000.00 has been generously donated to these children. 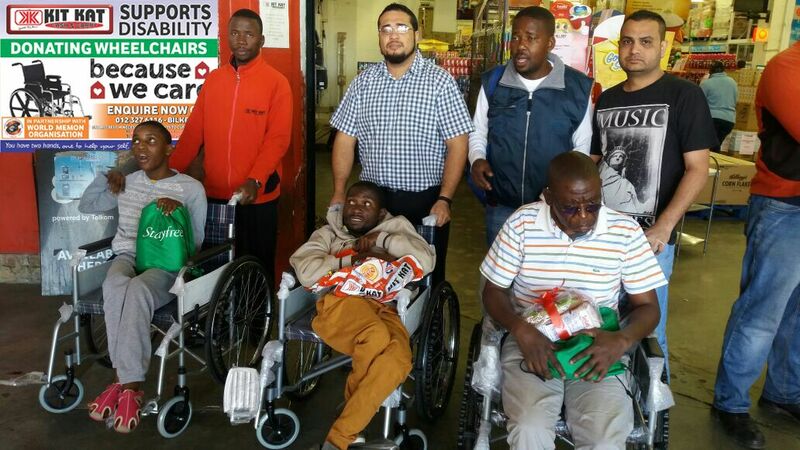 WMO has also donated 82 special bibs, 82 pairs of socks and 30 normal wheelchairs previously. They are also funding the modification of the Home’s vehicle to make it wheelchair friendly and have organized much needed physiotherapy for the children. All the needs of the children, will in future, be overseen by the wonderful ladies of the Jama’atun Nisa Group. 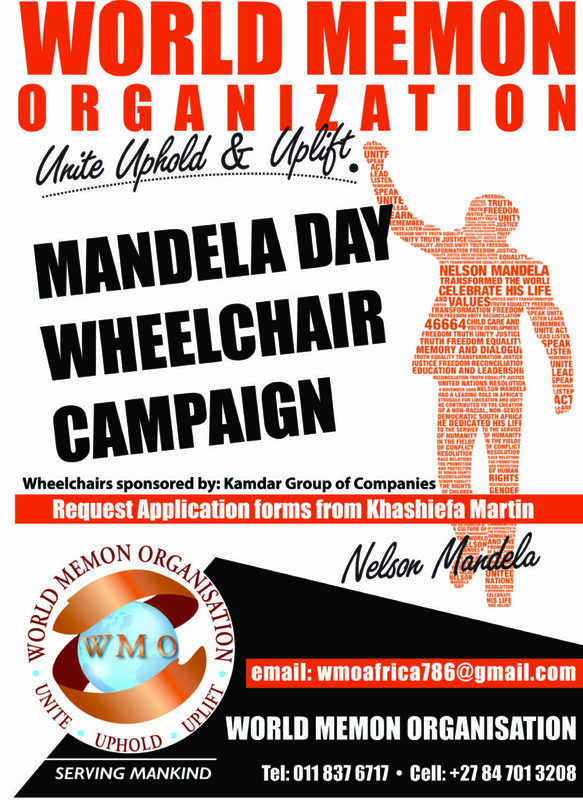 In addition to this Mr Abdul Rajak Ganie [Hajie Kit Kat] – Patron member of WMO has also generously sponsored wheelchairs to the needy in the Pretoria region Alhumdulillah.